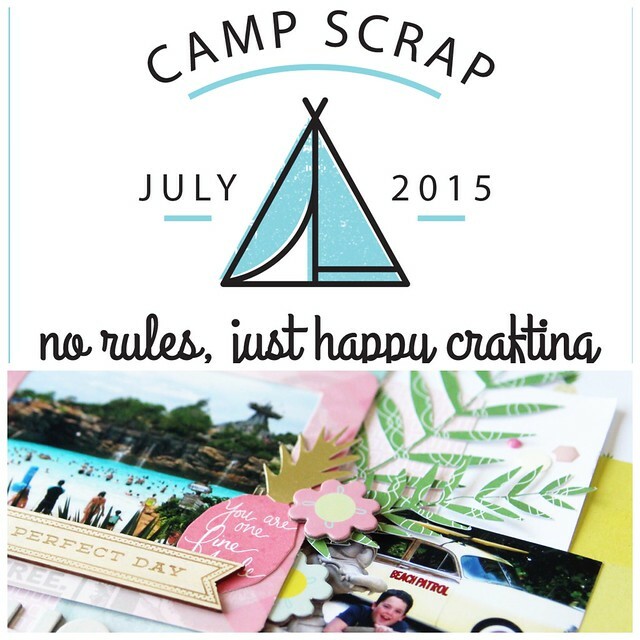 It's almost time for camp around here - Camp Scrap with a tag line that I love "no rules, just happy crafting." That's just my style! 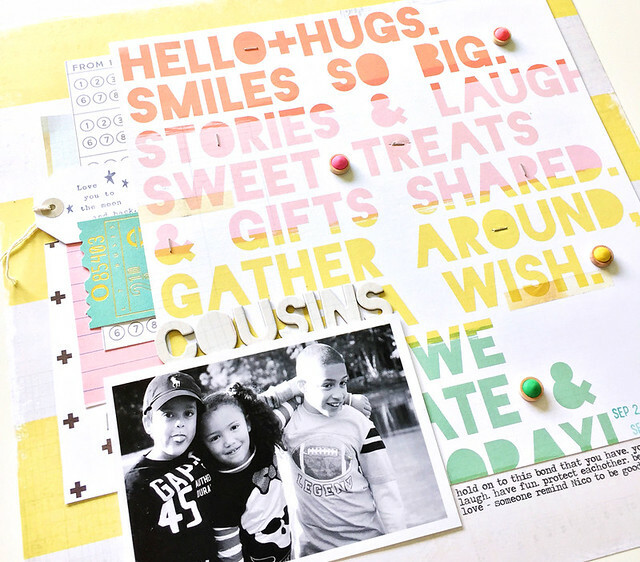 May Flaum teaches beautiful, in-depth scrapbook courses that I'm fortunate to be a part of. I'll be contributing to two classes at Camp Scrap this year. For the details, visit Craft with May. And if you'd like to win a spot, leave a comment on my Instagram account, Facebook or right here on the blog. I will be choosing a winner Friday, June 18th. Good luck and I hope to see you at Camp! Crate Paper Confetti + Winners! One of my recent favorite. I love this paper from Maggie Holmes' Confetti line. I left it uncovered as part of my embellishing and journaling. Just a few layers tucked here and there and some wood and enamel dots from Pinkfresh. Simple, kind of clean and highlights the photo. Loving this style right now. What an awesome box of goodies! I'm happy to hear that you're making videos again! I can't wait to watch them :). Loved seeing your wonderful craft room and also enjoyed seeing your Mend LO. Ouch...that pained expression says it all.....ugh... Thank you for the chance to win that fabulous haul of a super-generous blog prize!!! Wowza....that is going to make someone VERRRRRRRRRRRRY happy!! Janis and Jessica please email me at nancydamiano@gmail.com with your addresses and I'll get those boxes out to you! Thanks so much for following the blog hop.